Responsive design – Braxton adjusts its layout based on the device it is being viewed on. This means the theme’s content will be easy to read and easy to navigate whether it is being viewed on a desktop computer, a tablet or a mobile device. 4 Different Ad Units – Braxton takes full advantage of available ad space to give you 4 different ad units, including a rare wallpaper ad! The ad units include a two 970×90 leaderboard ad areas (which can also be used as a 728×90 ad banner), a wallpaper ad, and unlimited 300×250 and 125×125 ad units. 8 Custom Widgets – Braxton gives you the flexibility and ease of use to display your content the way you want it without altering any code with our custom widgets. I usually don’t leave reviews on themes I buy from here but I had to on this one. This is by far the best theme that I have ever purchased anywhere. It is more than a theme as it helps you to completely build a professional looking site without the usual hassle that other themes have. Also, the responsive layout is amazing. I have been testing it on hundreds of devices and have yet to find one that this does not work with. Again, thank you for this amazing theme and if anyone is on the fence about buying it, this is the best investment you will ever make. The BEST theme I have purchased. It’s so easy to use and the guys have really thought about what is important for a blog style layout. Very friendly service and I just wish I brought my other themes from this company! GREAT Theme and AMAZING support from the MVP guys!! Had issues with version 1.02 and was guided through the newest version and now the theme is the best I’ve used on here! Great job guys, keep the good themes coming!! I just wanted to say I’ve been using this theme for a few weeks and although my site isn’t live, it has been working great. But more importantly, the support has been amazing. 5 stars! 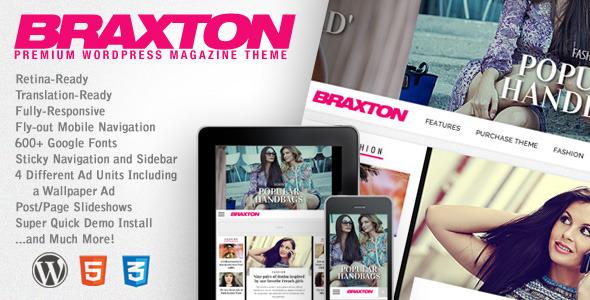 Honestly, Braxton theme is the best fashion Wordpress magazine/blog theme! It’s especially perfect for users who don’t understand coding because it’s easy to navigate through. Not to mention, the theme is very high quality, and it equally compares to other fashion magazine’s sites. Great theme, very easy to set up and use. Support has been quick and helpful. Highly recommend! I really LOVE this amazing theme. You seem to know exact what people want because this literally has it all! Great theme, outstanding support. 5 stars!!! MVP Themes takes pride in its support! If you have any questions related to the setup of Braxton that are not covered by the theme documentation or if you run into any bugs with the theme, please submit a ticket at the MVP Themes Support Center. 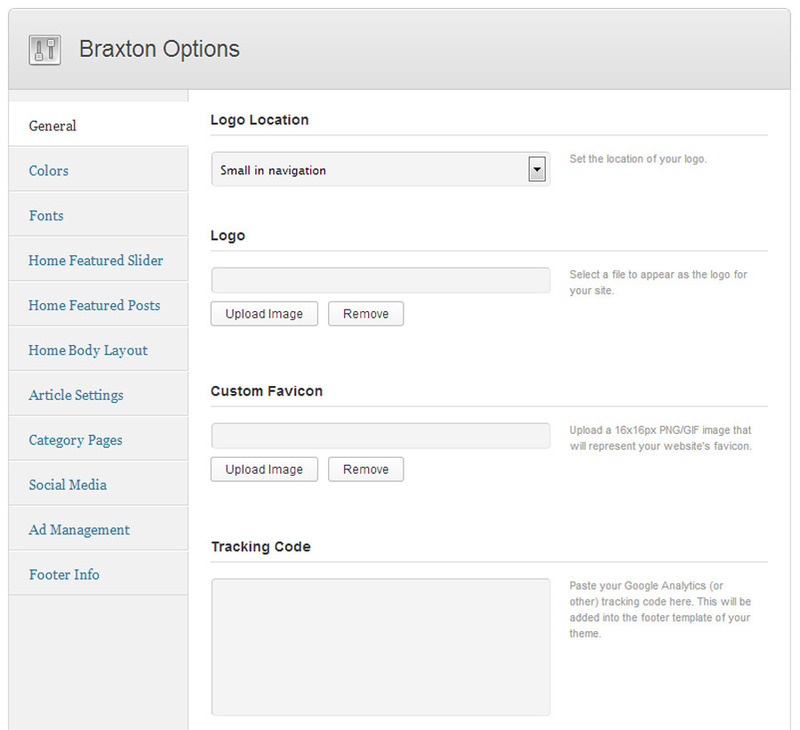 Unfortunately, MVP Themes cannot perform customization work for each of our customers, so Braxton comes “as-is”. Any customization you would like to make to the theme outside of fixing bugs will need to be done by you or a third party.